Spicy Cajun Fried Whole Turkey Dinner / Sorry We Are Sold Out!!! 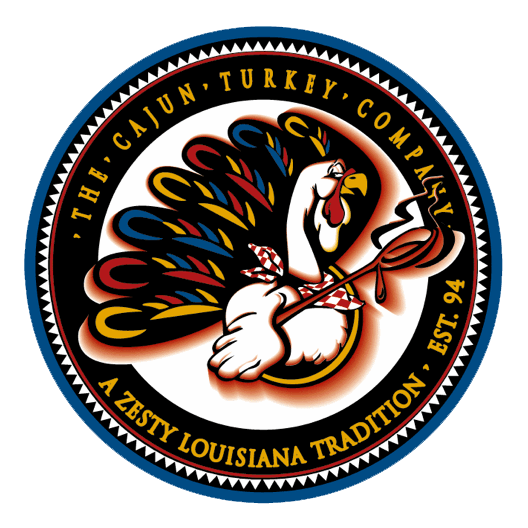 – The Cajun Turkey Co.
Home > Products > Spicy Cajun Fried Whole Turkey Dinner / Sorry We Are Sold Out!!! Spicy Cajun Fried Whole Turkey Dinner / Sorry We Are Sold Out!!! A complete Turkey Meal for 8, a traditional feast made EASY! Just heat-n-serve. You'll get a 10-12 lb Cajun Fried Tureky, 2 lbs Mashed Potatoes (just like your Mom used to make), Turkey & Giblet Gravy,2 lbs Green Bean Casserole, 6 crab cakes, 1 quart of Crawfish Etouffee, New Orleans Style Bread Pudding with White Chocolate Sauce, and an 8 oz bottle of Geaux Juice. Arrives fully cooked, just heat and serve! It's that simple. Feeds 8 people with enough turkey left over for GREAT Turkey sandwiches.